MommyBearMedia.com is a great place to find family friendly movies! From Mommy Bear: Mommy Bear Media's Mission is to help educate parents and individuals by providing reviews, lists and ideas about the best family-friendly movies. We want to empower everyone to make an educated decision about what media to bring in to their home. We specialize in children, family, Christian and popular movies and tv shows. They always have specials going on, plus LOTS of giveaways! MommyBearMedia has a promotion!! 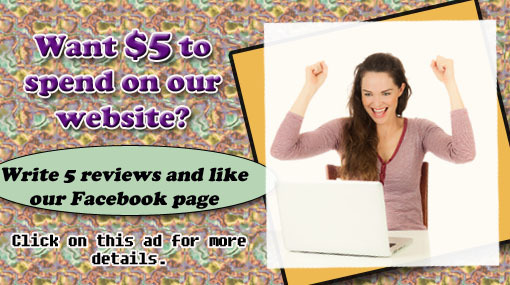 When you do 5 two sentence reviews on Mommybearmedia.com and Like their Facebook page, you get a $5 off code!! 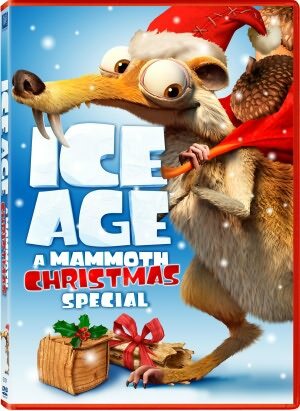 The Ice Age Christmas Special sells for $5.95 so you could get it for $0.95 Shipped!!! There is also FREE shipping so you could get a movie for as low as $.49! Check out there list of movies under $6.96! I love this company! I have used them several times and they ship FAST! This deal is limited to the first 100 people!! This time around I was able to review Winnie the Pooh! I enjoyed watching Winnie the Pooh in theater with my kids. I was even engaged with the plot! The voices were familiar and fun! The DVD was shipped fast and just as expected from the good folks at Mommy Bear Media. I really LOVE the fact that when I go to their site I will only see family friendly shows! Have a blog?? You can become a MommyBearMedia Affiliate here! They have a great program! 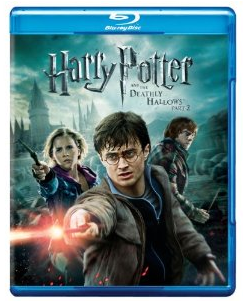 One reader will win Harry Potter and the Deathly Hallows Part 2 Blu-Ray/DVD Combo Pack! US only. Winner can choose a different DVD worth $25 if they want. a Rafflecopter giveaway I received a DVD to review. All opinions are my own. Also included is my affiliate link. Thank you for supporting this site. Thank you for the giveaway. I have all the other movies but not this one yet. Would love to win!! Thank you for the giveaway. I have the while set except this one. We would be thrilled to win Harry Potter and the Deathly Hallows! thanks for sharing this giveaway with us. Thank you for this giveaway and for being a great premier blogger for us! Would love to win :) Thanks for the giveaway. we love Mama Bear Media! I would love to own this movie. We watched it On Demand over and over during our 3 day rental. I haven't seen this yet-my family loves it! Thanks for the giveaway! I love Harry Potter! This is a great giveaway. We are trying to get the full collection and we don't have this one yet. Thanks. We love having family movie night! This would be a great movie to see! Thanks! I would love to be able to win a copy! My son & I would be thrilled to win this! We love Harry Potter and I think Mommy Bear Media has a great selection. Thank you for the giveaway. My kids love this movie. I really want to win this DVD as I have not seen it yet. Thank you for the giveaway! We love Harry Potter. Great movie -- thanks for the chance! Cant say no to HP!!!! This is the only one we do not have. Love Harry potter books and the movies. Thanks for the giveaway.